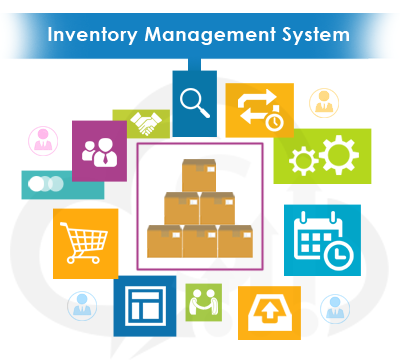 Inventory Management System is an efficient way of handling the flow of material which will be useful for industries and help. The Inventory Management System was design to generate inventory management simpler and easier. This product can manage stocks in warehouses and branches and regulates all stocks movement. Transactions to receive and move stock are modeled so that you can easily create indents, purchase orders and receive orders. "Masters" is a module in our IMS which is a cluster of 14 sub modules. This module is in some way “heart” of the application. It serves to define the data related to Inventory and helps to create data which will be used in all other modules of the application. This Module will have the information related to every single ITEM Category as well as the entire information of the WAREHOUSE. This Module is responsible for storing the details of every single Item or product, for example Item name, item belongs to which company, its Stock (How much quantity is there in Location), What’s the Unit Of Measurement (UOM), What’s the barcode serial number, what’s the color & size (Grid or Matrix), where is its BIN in the Warehouse etc.. This module is nothing but the Month wise pre-order planning to purchase any item or any product or any good from different vendors or suppliers. A budget in which the individual, financial statement items are grouped by cost centers or departments.. Vendor Management is the management and control, by an entity, of those third parties that supply goods and/ or services to that entity. A Vendor Management System (VMS) is an Internet-enable. This Module is responsible for storing the details of the different suppliers or vendors of different products. This Module deals with the all the transactions of warehouses like stock count, stock ordered, its Adjustments, Stock Postings, stock comparisons with the actual stock present in the Location or Bin, Transferring of stocks within the warehouse or to Other warehouse, Stocks Receipts and returns etc. Purchase Order is a commercial document used to request someone to supply something in return for payment and providing specifications and quantities. It’s the first official offer issued by a buyer to a seller, indicating types, quantities and agreed prices for products or services. Acceptance order by a seller, forms a contract between the buyer and seller, so no contract exists until the purchase order is accepted. It is used to control the purchasing of products and services from external suppliers. Creating a purchase order is typically the first step in an ERP system. "Masters" is a module in our PO which is a cluster of 2 sub modules. This module deals with the all type of payments done between the Buyer and Supplier. It serves to define the records and these records will be used in all other modules. This ensures that there is no duplication or repetition of entries in other modules. Every screen or every module has got a code which is either auto generated or user defined. In this, code is user defined. Indent: It deals with the preparing the list of goods or items for the different departments of an inventory, After checking the inventory the respective department head will prepare the Indent list and ask for Quotations from different suppliers. Quotations: It is clubbing of all indented items based on price listing of the requested items or goods, handed over to the organization from different suppliers. Purchase Order: As the name suggest, it deals with the purchasing of goods from different suppliers based on their defined PRICE. Good Received Note: This is responsible for checking the quantity of the goods requested. Purchase Return: This deals with retuning of the purchased goods due to some reason like any good is damaged or not required or may be some other reason.